We have 8 different colored backgrounds for these counters. An order of one will get you one color. You get volume pricing when you increase the quantity. They all have the same text and units. 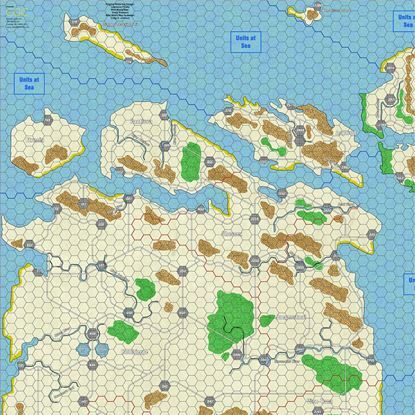 These counters allow you to play a Tactics II style came on the Blitzkeieg or Blitz World maps. The colors are Red with white text, Blue with white text, Panzer Gray, Yellow/green, Olive Drab, Khaki, Orange, and Pink. Specify the color you want in your order or in a follow up email, otherwise you will get them in the order above. Volume discounts on these counters are available. 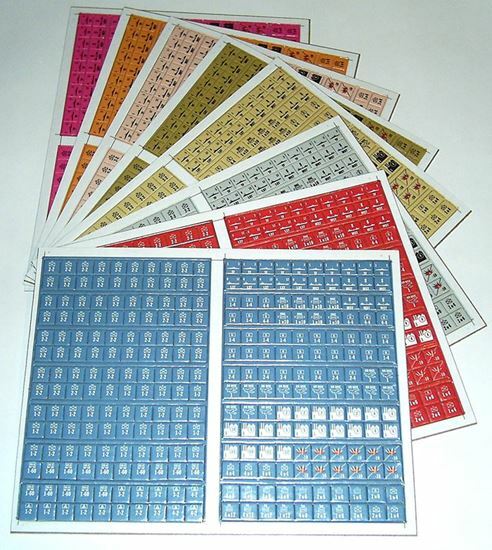 These game pieces are printed at 600dpi, double sided, laminated plastic, that are cut completely through for easy removal. They still require a sharp hobby knife and a pair of scisors because the lamination will streach. Snapping forward and backward on a single game piece from a strip works well also. These are water proof, and very durable. They are thicker and heavier than usual (.067in) and are easy to pick up. A stunning make over of the original game map. 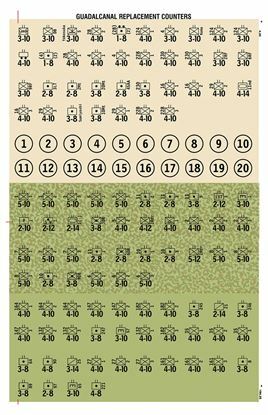 Variant game pieces for Panzer Leader Blitz board game. From The Boardgamer magazine, new colors. 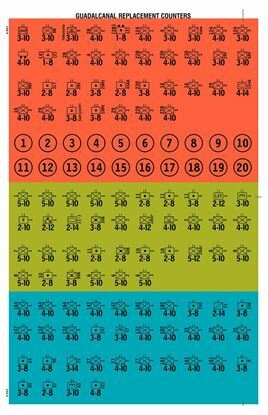 Replacement game pieces for the Guadalcanal board game.